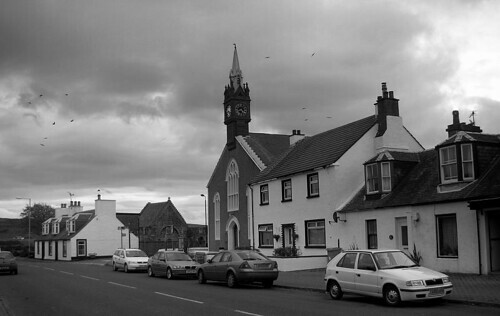 Girvan to Ballantrae. 14 Miles. Ayrshire Coastal Path guide book. From Girvan the road leads south along the main A77 which can be pretty busy as there are lots of big lorries that travel north along this road from the ferry port at Stranraer where they come over from Ireland. The road narrows at a place called Kennedy’s Pass (the Kennedy’s controlled this land years ago and Im sure they did their fair share of extortion and racketeering like every other Scottish Clan) There was a sign for the Ayrshire Coastal Path that pointed across the road, but after following a landrover track up the hill in the wrong direction I doubled back and decided that I’d stick to the coastal road even if it was busy. 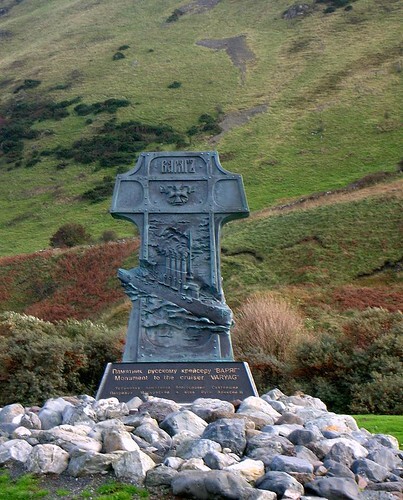 Just beyond Lendalfoot there was a memorial in the car park by the sea to a Russian Ship called the Varyag which ran aground not far from the shore. 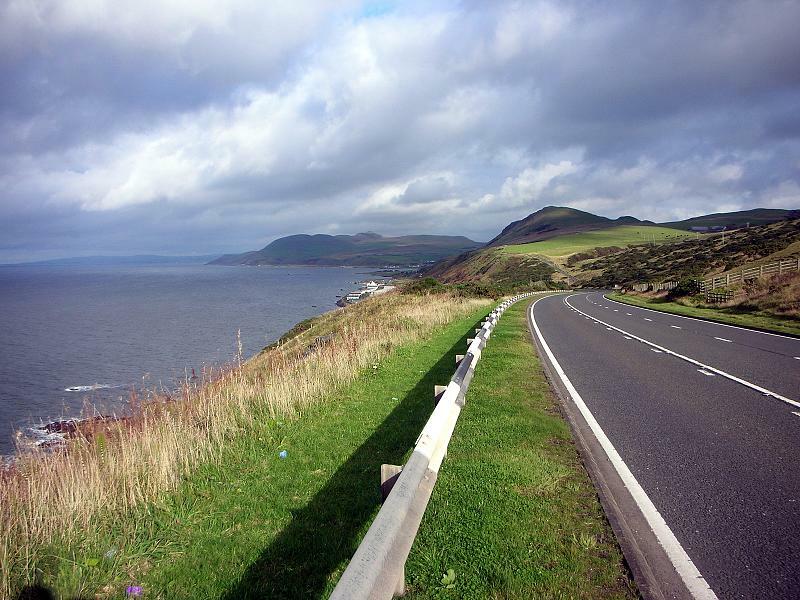 The road then climbed up to the summit of the pass and ahead of me lay Ballantrae and beyond Loch Ryan and Stranraer. This entry was posted on Thursday, October 16th, 2008 at 11:48 pm and is filed under life, photography, Scotland, trail, Travel, trek, walk. You can follow any responses to this entry through the RSS 2.0 feed. You can leave a response, or trackback from your own site.